That effect looks beautiful! You probably saw my somewhat cheesy attempt in an earlier post. If you could find the link to that more detailed model I would love it. That ship is one of my favorite sci-fi ships because of the sort of Gothic look it has. I actually did a similar render to yours in Daz using Reality and my model where I made the windows transparent and put a yellow point light inside the ship I believe. I may have to do a lot of experimenting to see if I can recreate a version of your render. It'd be a good learning exercise. About your other post, thank you for defining prop vs figure. That makes a lot of sense actually I just hadn't thought of it that way. I've got all my various runtimes linked to Cararra right now, I just find having to look for things in that manner kind of clunky compared to what I am used to. I also remembered I had some light sets with Cararra versions (the various "Skies of" products from Dimension theory). They seem to work a bit differently than I am used to from Daz. I have to drag the light in then go to, I think, background and manually add the hdr image in. I may be doing it wrong to be honest. If the skin shaders come with a Carrara optimized version, look in your Shader Browser under skin (provided you installed it). You should see the icons with a fleshy looking spherical ball. If you hover over the names and it has GI at the end of the name, it utilizes subsurface scattering. Best for images that use Indirect Lighting (Global Illumination), but take much longer to render. 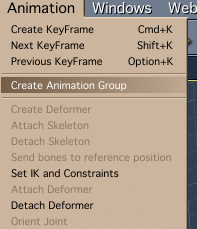 Anyway, to apply the skin shader, select the figure you have loaded in your scene, expand the figure hierarchy in the Intstances tab and select the model. 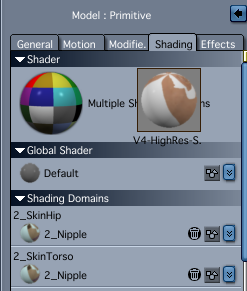 Look above for the shading tab, select it, and then drag the icon for the skin shader you wish to use and drop it on the big multi-colored ball at the top of the screen, and Carrara will automatically apply the shader to all the shading domains at once. Depending on your system, there could be a couple minutes delay while Carrara does this. Carrara likes to hold onto master shaders. 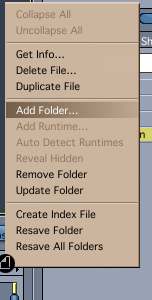 To reduce system overhead and improve performance, go to the Edit Menu-->Remove Unused Masters-->select Remove Unused Shaders. 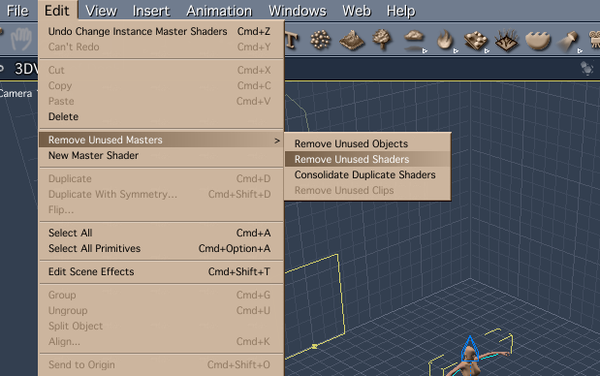 You may also wish to select Consolidate Duplicate Shaders. Then remove Unused Shaders again. This can also reduce the size of the saved scene file. Alright, here's that test render I mentioned. I see a few problems and I'd really appreciate pointers. 1) Her dress is too shiny. In Daz I'd adjust specular and glossiness in the materail tab. I suspect I'd need to do the same to a shader in Cararra. Is that right? 2) Her hip poked through the dress. In Daz I would make that part invisible or maybe adjust the morphs on the dress to account for it. What's a good way to handle poke-through in Cararra? 3) To my eye her hair and skin look a little flat. In Daz that happens when you use an hdri or uber environment without other light sources to add some specular to the scene. Is it about the same in Cararra? I learned quite a bit from this simplistic scene, for instance, I learned the hard way that you have to attach hair to the model and conform it to the figure before you pose the figure. Yes, it will do the eyes, but you can also go back the other way. Using the eyes as an example, once you get those the way you want, drag the multi-colored ball to your shader browser and drop it. A window will pop up asking you to name the shader. There may be a couple extra options as well. All the domains for that figure will be saved and a thumbnail generated. You can also save the character with the shader by selecting the top level of the figure in the instances tab and dropping it onto the Object Browser. If you want the clothes the figure is wearing, select the figure and all the clothing, and either go to the Edit Menu and select Group or the Animation Menu and Select Animation Group. You may have to re-conform the clothes to the figures with the Animation Group. 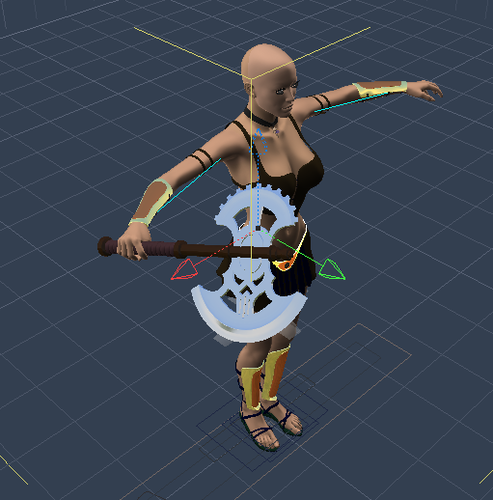 In the instance below, I had an outfit that I spent a lot of time fixing poke-through and I had parented an axe to the right hand and posed the fingers. I want to use the character again, so I grouped it together, named the group and dragged the top of the hierarchy (Warrior-Centurion) and dropped it into a folder in the Object Browser that I had previously created and added to the Browser. 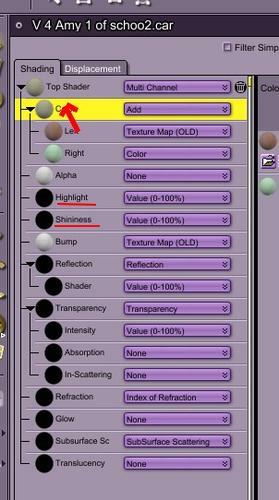 In Carrara to adjust the specular effect, you need to adjust the Highlight and Shininess channels. 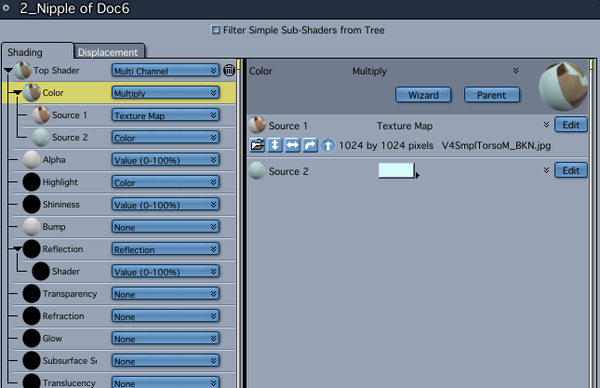 The brightness of the Highlight channel will determine the brightness of the specular effect. The Shininess channel drives the spread of the specular effect. Using a numeric slider, the lower you go towards zero, the more spread or diffusion it has. The higher the value, the sharper and less diffuse the effect. The most common issues people have with DAZ/Poser figures is that when Carrara interprets the Shaders, it adds a bluish/greenish color to the Highlight channel. This can add a bluish/greenish cast to the skin and also a plastic like specular effect. I've also seen it add the color as a multiplier in the Color channel as my screen shot shows. To fix it, just drag the part with the image map to the top of the Color channel (where it says Multiplier) and it will ditch the color. So, for the jacket, if your happy with how sharp the specular effect is, and want to just tone down the brightness, all you should have to do is lower the Highlight value. If there's a color in the Highlight channel, you can click the color chip and lower it to a darker color. Or you could use the pull down menu and change it to whatever your heart desires. If you liked using the materials settings stuff in D/S, then once you start playing with Carrara's shader room, you'll have a blast! "Riggswolfe" Alright, here's that test render I mentioned. I see a few problems and I'd really appreciate pointers. Yes. In carrara that is shine and highlight. First you need to get rid of that nasty poser color overly. 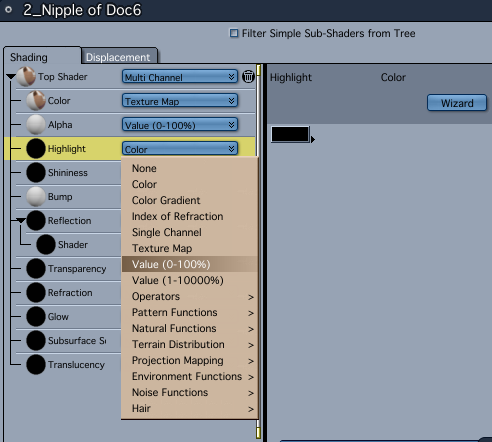 in the skin shader, color, just drag the texture on to the "color"
Very interesting. I definitely get the feeling that Cararra's shaders are much more powerful than what Daz has when it comes to tweaking how things look but that it will take me time to learn how to use all of that power. Oh, and I haven't even messed with the modeling side of the program other than when I played with dynamic hair and made poor Reby look like she had a deformed chia pet on her head. ...Oh, and I haven't even messed with the modeling side of the program other than when I played with dynamic hair and made poor Reby look like she had a deformed chia pet on her head. Carrara Hair. You'll be amazed where you can put it! I've seen some amazing hair that others have done but they clearly have more skill at it than I do. It was all lumpy and bigger on one side than the other and looked like she had come out of the forest after years of living alone. Wow. So much better. Her eyes are still a little flat as is her hair but her skin and the dress are both significantly improved. I did what you two suggested with the shaders on her skin, zone by zone. On the dress I started playing with it and realized that it wasn't using the dresses textures, just some colors. So I put the dress textures in the color channel of the shader and that helped alot. It also had a reflection texture which I put in the reflection channel and turned way down to like 10% or so. Somehow I made the translucent trim disappear but other than that the dress looks about 1000X better to my eye. And her skin, wow, the difference is amazing. So much brighter and clearer! I'll post both pics here so the differences are more obvious. I think I probably need to bump up highlight and shin on her eyes and hair to make them less flat. What do you think? I forgot to mention this about the more advanced lighting models such as Skylight, Indirect Light Ambient Occlusion, etc. You'll need Light Through Transparency selected at the top of the Rendering options, as well as the one located in the Global Illumination settings. If it's not checked it can cause weirdness with the eyes or anything that has alphas or transparencies. I think the hair looks good as it is. You can have a whole thread devoted to just the eyes! Try adjusting the highlight and shininess on the cornea and eye surface. The real trick though, is you need some kind of bright point for the eyes to reflect. You can possibly add a light, which could also help with overall highlights on the figure, or you could cheat it. Immediately behind the camera insert a sphere primitive, you'll probably have to scale it down a bit, add a glow to the shader with a numeric slider, probably the 0-1000 slider and set it to max. One caveat: Indirect Light will cause the glowing to sphere to become a light source, whereas just the Skylight will not. So, if you don't want the sphere to cast light, but want the HDRI as the light source just use the Skylight. Forgot to add that sometimes when Carrara translates textures it doesn't always load all the image maps. This may be due more to naming issues between programs than being Carrara's fault. If you have something that's supposed to be transparent but is not, check the directory where the other image maps are stored and look for trans-maps. When/if you find them, load them into the Alpha Channel. The other issue is Carrara may be adding multipliers or overlays to the map in the Alpha channel. If so, move the image map up. Echo that! I always give a thumbs-up for Phil's training. Great stuff there. It's also easy -- as this thread shows -- to get focused on just one way to solve a problem. I would have done the same...pounded my head over Anything Glows... Then 3DAGE comes along and shows a completely different (and easier IMO) way to acheive an equally cool effect. Sometimes you need to take a break, clear your mind and try to approach from a different angle. More echoing. :) Start small...work upwards from there. I found that it helped if I focused on one thing, such as shaders, lights, etc. for awhile. Some things like shaders and lighting go hand in hand, so sometimes it's difficult to do just one or the other. You can also work on an element of the program or a concept. For lighting for instance, I concentrated for awhile on faking GI and with the shader room I focused for awhile on using procedural functions, such as mixers, multipliers, noise functions etc. When I got stuck, I either followed a thread or asked here at the forum. I would also say, that the advice to start small is good, it's also important to keep the creative juices flowing and not to get bored and lose interest in what you're doing, so also be prepared to just experiment once in awhile and see where that takes you. Speaking for myself, when I do a tutorial, sometimes if I get bored with the scene the tutorial covers, I'll create my own scene or scene element and use the steps and principles in the tutorial to apply to my own scene or scene elements. Sometimes I go down in flames, sometimes the idea that's being taught sticks with me better. P3dO Explorer Pro http://www.senosoft.com/softp3dopro.php has been mentioned a few times through the forums. I haven't used it myself, but maybe some others have and can comment on how useful it is with Carrara, since it supports Carrara's CAR and CBR formats. There has been a lot of helpful information in this thread. I'm sort of scattershot playing with various things in Cararra right now, sort of acting like that Dog in Up. I'll be looking at something and playing with it then see something new and go "oh! What's that?" And go look at it next. Eventually I need to play with modeling terrain, skies, and space scenes IE stars, nebula, and planets. That is in fact what I'm playing with currently though I feel utterly lost. Wish me luck! Terrain is one of the things that I enjoy most. The terrain editor is Carrara is terrible though. I build a heightmap in Daylon Graphics' Leveller. I then tweak that in Photoshop (save it as JPG since Leveller does PNG) and then use Photoshop layers to make distribution maps for trees/grass/etc. I then import the heightmap into the Carrara terrain. I'm still experimenting with the terrain shader to get it looking good.